Zlatan Ibrahimovic has put pen to paper on a new agreement, which is also going to see the striker return for LA Galaxy for the all-new MLS 2019 season in a role of an ‘assigned player’. Sweden coach Erik Hamren has revealed that he will be taking time off from football after having announced his exit from the national team. He leaves Sweden’s national football team after seven years in charge. During this period, he has overseen qualification to back-to-back European championships. 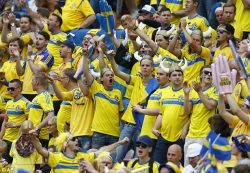 Sweden not only qualified for the Euro 2012 but they repeated the feat with the Euro 2016. The latter was especially not successful given that the team failed to get into the knockout stages of the competition as they finished bottom of the group even with striker Zlatan Ibrahimovic on board. Over the years, Hamren has been in charge of 70 games and he has an extremely good record by winning 40 out of these matches. He was not convinced about another major tournament with the national team, as he announced even before the Euro 2016 that this would be his last tournament with the Sweden national team. 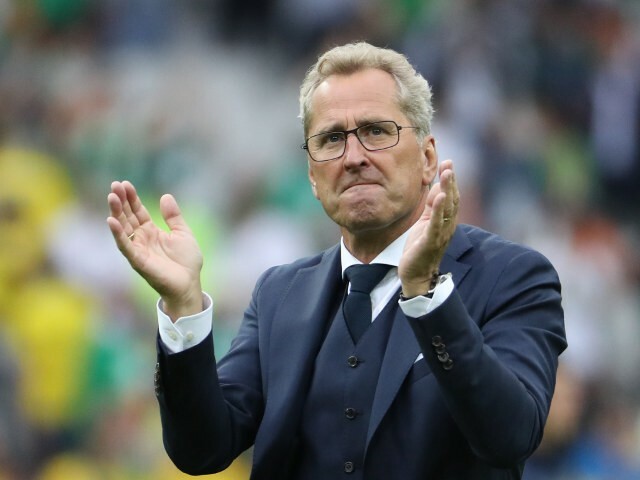 There are signs that the 58-year-old could announce his retirement from management, as he has stated that he will take an indefinite break from football for the time being.Hamren spoke about the disappointment of not having done well at the Euro 2016. He says that a return of just one point from three matches is simply not acceptable for a team like Sweden. Swedish striker Zlatan Ibrahimovic has denied suggestions that Paris St Germain have qualified for the quarter-finals after completing a 4-0 rout of German club Bayern Leverkusen in the first leg of the last 16 round. Ibrahimovic was on target twice in the match, with the Swede scoring yet another sensational goal with his second effort. The first was a penalty. The second leg will take place in the second week of March and it has already been spoken of as a formality, but Ibrahimovic failed to accept such comments saying that PSG will remain professional despite this massive advantage. After spending lots of money in the last few transfer windows, doing well in the Champions league will be the ultimate motive for PSG. 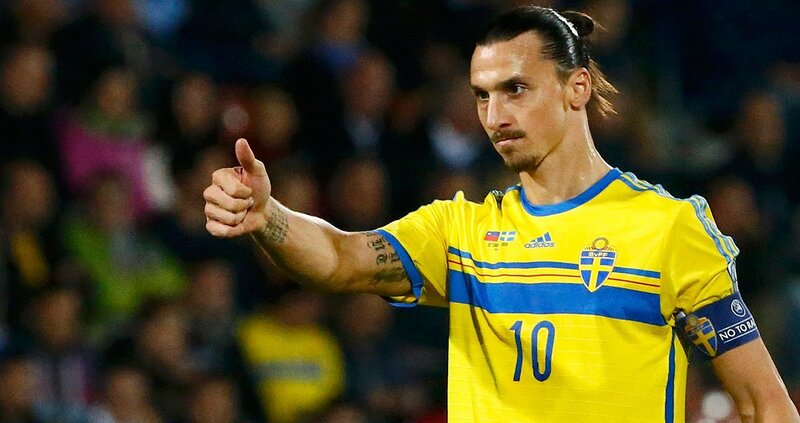 Ibrahimovic, who will not be seen at the World Cup 2014 after his Sweden team failed to qualify, has been one of the best strikers in Europe this campaign. He has scored more than 30 goals in all competitions. January signing Yohan Cabaye scored the fourth goal of the match, while Blaise Matuidi, whose future at the club continues to remain uncertain, opened the scoring. Ibrahimovic was at the centre of everything good done by PSG. After the match, manager Laurent Blanc praised the centre forward. “I think we had a good start. After three minutes, we scored a goal, then we played our game, created chances and scored a second and a third, so there were a lot of spaces to play and we did good, very good. We have to play the second leg like we did today. We have a big advantage absolutely, but still we have to be focused and play our game and let’s see what happens in the second game,” said Ibrahimovic. The 32-year-old is expected to head the FIFA Ballon d’Or award ceremony next season. Zlatan Ibrahimovic GOAL as Sweden win World Cup qualifier! The PSG striker Zlatan Ibrahimovic has said that the new signings at the club need more time in order to perform well. The Swedish striker was amongst the high-profile signings to arrive at the French club. Even though the 30-year-old might not have cost a lot of money in terms of transfer fees, he is one of the highest earning players in the world due to his reported £ 250,000 per week after tax contract. However, PSG have not performed well in the first few matches of the French league after they have drawn both games. Speaking after the latest match, the Swedish striker said that due to the huge number of signings at the club in the summer, they need to gel in order to perform well. Zlatan Ibrahimovic has been the receiver of the biggest criticism, but he has been able to rescue PSG on numerous occasions in the last two matches. He has said that the only way forward for the club is now to win matches. Due to the high profile players, the opposition have been adopting a very defensive style of play. It has been the main reason for PSG not performing well in the opening two matches, but Ibrahimovic expects them to break down opponents easily once they settle. “I still need some time to be ready. I had a great debut, but I understand that the fans weren’t happy with us trailing 2-0 at half-time. They expected better. I am certain that we have done well in the transfer market. When I came here, the aim of the club was to recruit good players and I see that today we have them. That means we have the platform to build something very special in Paris,” said the former AC Milan striker after the second match of the season.